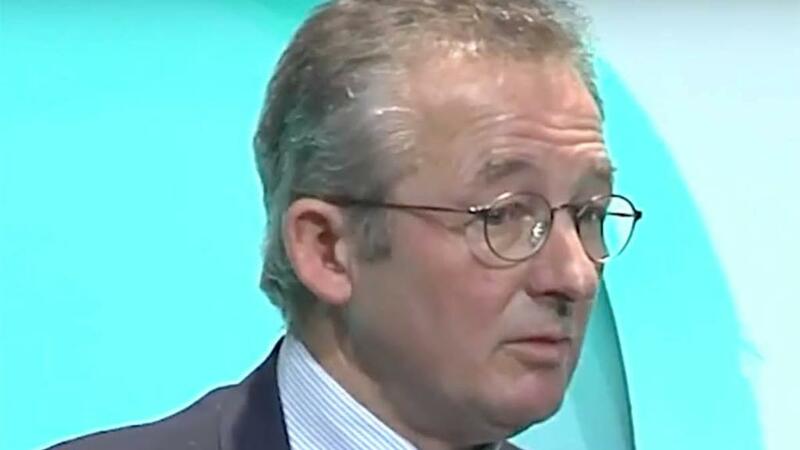 Oxford professor and chair of the Natural Capital Committee Dieter Helm is one of the most influential voices in the debate on agriculture’s post-Brexit future. In an exclusive interview with Farmers Guardian, Abi Kay asked him about his views on the environment, food security, trade and much more. The Government has been quite clear it intends to pursue a ‘more effective application’ of the polluter pays principle. What would that mean in practice, what are the costs farmers can expect to bear in future? As with all such things like plastic bag taxes and sulphur petrol, is it is pretty hard to know what the answer is, so what you do is you start with a low tax or a low pollution charge per unit and see what happens. It is similar to carbon. There are huge efforts to try to get the carbon price right, and actually it is a fairly hopeless task, so what we have done is started with a relatively low price of carbon, and then gradually increased the carbon floor price. It is better to be roughly right than perfectly wrong. Nought is perfectly wrong, so I would think of a gradual process of introducing these costs. It also depends from pollutant to pollutant, so there might be a general tax on particular kinds of pesticides. So the tax would be paid at the point of sale? There are choices about this. If you buy electricity, you will pay the price of carbon in your electricity bill and someone upstream will have added it and paid it to the Exchequer or whoever it is paid to. There is a choice, but basically, what would happen is the farmer would see it in the price of the pesticides they buy. They would be higher than they otherwise would have been, because the higher price would reflect the cost of the pollution. You still need some regulatory frameworks around this, so there are particular catchments and particular locations where it is not about whether you use a bit more or a bit less, the impact is just too big and you just do not want it to happen. That is essentially a pragmatic way of taking account of both the geography and the general impact. All of this was discussed probably two decades ago when there was a serious attempt to do this, and in the end what happened was the then Environment Ministry got participants to agree to a voluntary code instead. I would argue the voluntary code has not really worked. The principle of the polluter pays is absolutely clear in the 25-year plan and explicit in the agricultural consultation paper too, so it is there, it is just a question of saying ‘well that is the right principle, now how do we make it operational’. There is no choice about this. It is a fairly normal, rational thing in an economy that costs should result in prices, so that is pretty straightforward. What about pollution from other sources, such as slurry? If you think about the different kinds of pollution, some pollution we ban. There would not be much point in having a price on mercury pollution into rivers, because it will kill everything, so you just ban it. There are other areas where we effectively mandate certain managerial practices, of which slurry is an example, and if you let your slurry go straight into the river, you should be faced with the consequences of what you have done. That is what a fine is, it is making the polluter pay for the pollution damage they have caused. Any farmer should know if they do not pursue proper maintenance of their slurry and they let it go into the river, there is a financial consequence. Is there a role for Government to play in supporting farmers to upgrade their slurry management facilities? Do you think the Government has a role to make sure chocolate producers keep to the law and do not pollute the local environment from their chocolate manufacturing, or should the Government support car manufacturers if they have to put in pollution equipment, or the power sector or the retail sectors? In no other area of the economy do we say ‘you pollute, you do not pay the costs, and what is more if you do have to pay the costs, we will give you the money to do it’. If you say there are certain farms where you could not afford to put in appropriate slurry protection, well then you cannot produce it. It is pretty straightforward. In some of these cases we are talking about activities which are uneconomic in the first place. Remember we are talking about a sector which produces 0.7 per cent of GDP, about £9 billion, of which £3 billion is direct subsidy, then there are all the other tax concessions, and then there are the costs of pollution. This is a very small contribution to the economy, and then we say ‘if you are going to pollute the environment, we will help you out’. Imagine if it was the same for the car companies, ‘we know your diesel particulates are causing trouble in cities, here is a few hundred million to see if you can fix the cars’. There would be outcry, absolute outcry. It is remarkable that we somehow think it is the job of the Government to provide investment for the farmers to make their private profits in order they do not cause pollution. It is just inefficient. Is there a case to be made that agriculture is a special and unique industry, because society cannot function without a food supply? Do you think society cannot function without water, or electricity, or transport? But the structure of those industries is different, they are not made up of hundreds of small businesses which struggle to turn a profit. There are lots of retail sectors which are. There is a really practical question to ask about how much food we should produce, just as there is a practical question to ask about how many cars we should produce, or how much steel. So what then happens is we get to two arguments. One is an argument about food security, and people hark back to Dig For Victory. If you really do want food security because you are worried about being cut off or the blockades in WWII, then you would start by bringing back to Britain all the manufacture of the basic inputs into farming. There is a difference between food security and self-sufficiency. Food security is about having different suppliers. I do not know when we were last self-sufficient in food, and I do not know why anyone thinks self-sufficiency in food is a good objective. Think it through, almost all of our farming systems depend now on a global food chain and a global supply chain. If you look at anything you purchase in the food chain, if you want to have it self-sufficient, all done in Britain, you really have to do very radical things, and the question is, why would you want to do that? What is it we would be better off by? How much would you rather spend? We need to spend more money on the health service. If you want real self-sufficiency in food, it is not £3 billion, plus the other billion or two for the other subsidies, it is many more billions. The question is, would you prefer to spend it on the health service, on education, on housing, on transport, on electricity, on cyber security? These are practical trade-offs. What happens often in the farming sector is people think how much money they should receive to achieve the objectives they think would suit their private interests is independent of the total resources of the economy. At the end of this process, having spent so much as a proportion of the total output in subsidies, are even the farmers better off as a result? One of the tragedies of all this is even with all these subsidies in place, it has not actually produced a good deal for the farming sector at all, there are lots of farmers who are living on pretty small incomes. Land prices are completely out of line with what the yield of the land is and the result is we have a system in which the average age of farmers is something like 60. This is not a thriving industry, this is an industry which is, in a sense of age structure, dying. The land values make entry for young farmers virtually impossible, and these are all predictable economic consequences of the forms and types of subsidy we have put in place. This pushes the small farmers to the margin, they live on very small incomes and of course when someone comes along and says the subsidy regime will have to be reformed, it is a big challenge for them, understandably, but I think everyone needs to understand this is not a sustainable way of farming for the farmers, let alone for the environment and the other public goods people might be interested in. Are tariffs a better way of securing a level playing field than subsidy? There are several components to this. A number of people have rightly said we have higher welfare standards and opening up British agriculture to competition from countries with lower welfare standards would not only be unfair, but it would be extremely inefficient. They are dead right. The natural response to this is to say you impose your standards at the border. So if it is chlorinated chickens which are the problem because you think this should not be required, then you simply say we will not accept products which have a lower standard of welfare than ours – full stop. Once you have done that, if someone is producing products abroad to the same standard as ours, why would you object to trade? This is the point. Suppose someone is producing wheat just as good as our wheat, or they are producing pig meat which is just as good as ours. But what if they are being subsidised? This is the next point. What happens if they are being unfairly subsidised? The argument is because everybody else has the Common Agricultural Policy (CAP) in Europe, we should have it too. This is an extremely important argument and it seems to me you would want to adjust at the border for this as well. So you would want to take it into account. What mechanism would you use to do that? There are a variety of mechanisms in play. We have many commodities traded globally where there are subsidies and state aid and we have a whole regime to deal with it. CAP is state aid. The trouble with this is if you take it the other way around and say ‘well as long as everybody else is cheating, we should cheat too’, this is a recipe for the continued status quo we have at the moment, which is incredibly inefficient. Trade, yes. Fair trade, definitely. Fair trade means the same standards and adjusting for any state aid which is provided to other players. Now the result of this might be a lot less trade. It may be it turns out British farmers are currently being disadvantaged by trade. It might not. But if you look at the sorts of agricultural product in this country which will be most affected by tariffs, it is things like sheep. If you look at the economics of sheep, the ratio of subsidy to the value of output is enormously high already. It would be perfectly legitimate for someone on the other side to say ‘but you are subsidising your sheep’. In a world where public money goes to public goods, we would not be liable for that challenge. You have said in the past it is ‘not obvious’ payments should go direct to farmers, but that money should go to public bodies to be distributed. Has that idea got any traction in Whitehall? I do not speak to Whitehall. If you look at the consultation paper on agriculture, a lot of these issues about what the payment mechanisms will be are so far unspecified. Once you say public money for public goods, you then have to introduce the idea that quite a lot of people produce public goods in the countryside, but the vast bulk of the land is controlled and owned by farmers in one form or another. Basically, they own most of the relevant natural capital and therefore you would expect them to be the primary recipients in this area. But we need to be very careful about what public goods means. We have had lots of cases of people calling all sorts of things which are not public goods public goods in order to get their hands on the loot. We have had people talking about rural broadband being in some sense a public good. We have had docking pigs’ tails regarded as a public good, and Neil Parish, the chairman of the Efra Select Committee, apparently thinks producing food is a public good. This mistakes the general ideas of good and public with the precise meaning of what a public good is. You can see how it will be important to sort out what does and does not qualify under this heading. If cash were to be redirected to public bodies to commission services, are you confident they would get value for money? Is there a risk money which could go towards practical measures to help the environment could be swallowed up by administration and consultants? No I do not think so. There are lots of ways of doing this, but one possible way would be to say to farmers ‘come up with the ideas’. Tell us if you think you can contribute most, tell us how much you can contribute and what you think it would cost. It is not public bodies coming out and saying ‘we want HS2 commissioned’ – this is very much a system in which farmers can come forward with the ideas. They run the land, they own the land, they understand the land and they know what opportunities could be delivered. They can come forward also with how they think they can credibly demonstrate they have done it. So these public bodies would have no control over how the money would be spent? This is early days. I am not saying there should be no control, on the contrary. I am not saying all the money should be awarded on the basis of bids from farmers. I am simply saying you can think about this as essentially a bottom-up process in which farmers will be the predominant players, or you can think about a top-down one. My guess is it will probably be a mix of the two, but it is at the moment on agri-environment sites. I certainly do not think you want some kind of Gosplan with all the things which go with that. You have said there is a possibility inspections could be reduced under such a regime – do you envisage a future where there will be no inspections at all? I do not think I ever said there would be no inspections, but you have to think forward. Pretty soon, we are going to be able to know what is happening on every metre of the United Kingdom. This is what drones and satellite technology and GPS are doing. The data which is about to be available on our farmland will be enormously increased. Just at a trivial level, we will soon know a lot more about what is actually going on in our rivers, so every time slurry goes into our rivers, you will know about it pretty instantly. In the past, a lot of what has happened has been what you would call diffuse pollution and it is quite hard to work out where it comes from. All of this is going to be a lot clearer. Similarly, when you have field margins, some people really look after their margins and treat them as really good bits of natural capital. Other farmers use them as roads. Where I live, it is basically a flattened track, a pathway, in which virtually nothing grows. You have to ask yourself what is the point of it. If we lay down conditions, cross compliance, the good guys will have no problems at all, and there will be much more available. Those who do not fulfil what is in their deal for the subsidy, well, it will be obvious. Remember too, there will be a citizens’ role in this, because this data I assume is going to be very public, so anyone could see what is happening on the land. Today, even with the Basic Payment Scheme, farmers struggle to break even. Do you accept there is a risk businesses could close as we move to a new system of support? One of the reasons why incomes are not brilliant is because the land prices are so high to which the incomes apply. If you want to enter farming and you want to buy a farm, the costs in terms of finance are very significant. The BPS itself and the CAP more generally have created the economic conditions which produce the farm incomes we have today. I think it will turn out there are two classes of farms which are vulnerable – the more marginal farms on more marginal land, particularly in the uplands, and secondly, inefficient farms. There is no reason why inefficient farms should be protected, but most of the marginal farms are of a size and a character in the kinds of geography and geology which make farming more difficult than in the lowlands. These are the people who are producing the public goods, so their incomes might actually go up. Will there be some winners and losers? Yes. Who will predominantly be the winners in this scheme – those who produce the public goods. Who are those? They tend to be smaller, more marginal upland farms. Therefore, in a sense, a lot of people who are at the margin of being in business or not, may find themselves in a more comfortable position in the future. The envelope of subsidy at the moment is assumed to be exactly the same, so at the moment the assumption is £3 billion is being spent on farmers in total. If some people lose, some people gain. It is very hard to argue that in aggregate, farmers will be worse off from this scheme – on the contrary. We are going to get to keep the full £3 billion? That is what Government have said at the moment. That is quite a long time, there is another general election then, and we will see where we go from there. Supposing the Treasury come along and take another billion away. They will do that anyway, regardless of my scheme or anyone else’s scheme. They will simply take it away. Moving on to natural capital – there are some people who are doubtful about how effective economic methodologies are at producing meaningful values of natural capital assets. Do you share those concerns? There is a lot of confusion here. You have to be very careful what you are trying to do. What we are really doing is saying how much should be spent to protect different kinds of natural capital assets. This is not saying what they are worth, but it is saying there are a limited amount of resources available, and should we spend it on this rather than that. In order to think about those questions, it is relevant to ask what the benefits would be if you spent it on this rather than something else. I will give you an example. You could say Carlisle flooded, so therefore we should spend hundreds of millions building hard, concrete defences in Carlisle. A much more practical question to ask is instead of spending £100 million on these schemes, would it be better to pay farmers to manage their land differently to absorb flood waters? Of course it would have consequences for farmers, there would be a consequence of having their land flooded for longer periods, but on the other hand, how much would they need to be paid to hold the flood water rather than letting it flow downstream. How much would they have to be paid to keep fields from the watercourses quite a way back under grass, or other permanent cover as opposed to ploughs and crops. How much would it cost not to have maize planted near rivers? These are the kinds of calculations which you cannot do without numbers, and when people say ‘you cannot value this and you cannot value that’, in one sense they are right, but in another sense they are wrong, because every decision we make implies a number. If you decide not to preserve a piece of ancient woodland, you are saying it is not worth the money to do it. It is not saying ‘the value of the hedgerow is £552,480.52’. That is silly economics, and that is what some of the critics of natural capital do, they create this parody of what we are trying to do. Economics is just about allocating scarce resources, it is what a farmer does every day, and that is what the natural capital approach does and it is very much honed on natural assets. What kind of natural capital methodology will be used to underpin a future land use policy? There is no perfect, exact, Einstein-like science to this. People who pretend there is are doing something which is quite dangerous, because they are not recognising the uncertainties and imperfections, which are absolutely part of trying to measure anything. This has to be pragmatic. There are two ways of doing it. One is to start from an accountant basis, like a farm set of accounts to identify the assets, the assets at risk and think of the valuation of those assets. The other way round is to look at the outputs and to value the outputs which come on that natural capital. My view is you should do both. You should look at the value of the crops coming off the land, but you should also try to look at the capital value of the soil. Should a farmer be paid to maintain or enhance the soil? It is not clear that this is a public good, and it is not clear that public money should be made to increase the private profits of the farm. A good farmer will be looking after the soil because it is in their interests to do so. Now if we say on top of that, there are certain things we the public want from the soil which are not in the interests of the farmers to do, then that is a different matter. For example, we might be very interested in soil being maintained at a standard which has a high biological diversity, higher than would otherwise be the case. We have to sort out what are the public goods and what are private. How much can farmers expect to be paid for this kind of activity? If you mean is there a general price for or a general valuation of soil for the UK, of course there is not, because it is very different. But for something like animal welfare, where there would presumably be universal standards? I have never suggested we should subsidise people for not being cruel to animals. It is like saying we should subsidise dog owners to make sure they take their dogs for a walk. Why would you do that? It is in the Government consultation paper. I am not the Government. I do not think this is a public good. The Natural Capital Committee I chair is completely independent and we have formed no view on this, but my personal view is I am very worried about saying we should start paying farmers to adhere to certain animal welfare standards, and I am also worried about the perverse incentive that creates, which is lower the standards to get paid more to increase it back to the standard you were in the first place. If a society says it does not want stag hunting, we pass laws about it, we do not compensate people. We do not compensate farmers if they abuse their animals. We are not going to compensate battery hen keepers if we decide we do not want battery hens. Society makes choices. We cannot protect ourselves from the consequences of that, which is we will have to pay more for our food. And so we should. If it means we could pay less by being cruel to animals I do not think anyone would say that is a good idea.